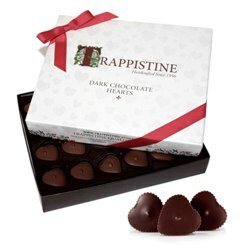 Made with love and prayers by the Trappistine sisters of Mount St. Mary's Abbey: two full layers of dark, luscious Belgian chocolate hearts that say "I love you" many times over! The perfect gift for Valentine's Day, Mother's Day, Birthday, or "just because". Gift box decorated with silver hearts and a hand-tied grosgrain ribbon. 48 pieces, net weight 12 oz. Nutrition Facts: Serving Size 2 pieces (14g), Servings Per Container 24, Amount Per Serving: Calories 70, Calories from Fat 40, Total Fat 4.5g (7% DV), Saturated Fat 3g (15% DV), Trans Fat 0g, Cholesterol 0mg (0% DV), Sodium 0mg (0% DV), Total Carbohydrate 8g (3% DV), Dietary Fiber 1g (4% DV), Sugars 6g, Protein 1g, Vitamin A (0% DV), Vitamin C (--% DV), Calcium (0% DV), Iron 10% DV). Percent Daily Values are based on a 2,000 calorie diet. 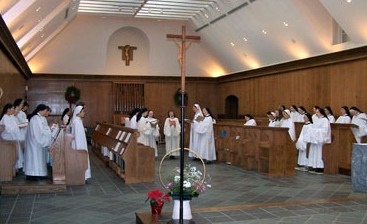 Mount Saint Mary's Abbey is the first monastery of Cistercian Nuns in the United States. 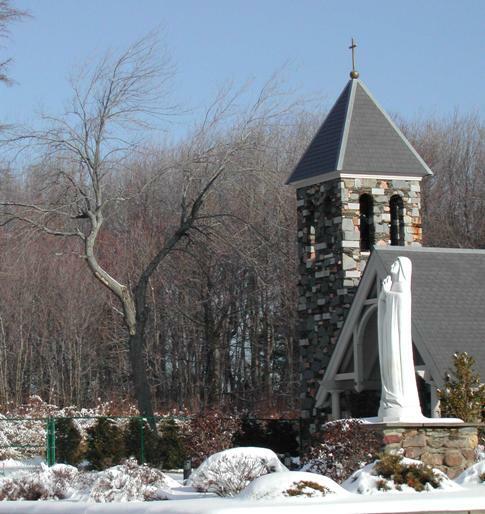 Located in scenic New England in southern Massachusetts close to the Rhode Island border the Abbey is easily acessible from Boston or Providence. The sisters come from all parts of the United States and from several other countries. The first sisters arrived in 1949 from St. Mary's Abbey (Glencairn, Ireland).The community grew rapidly and in 1964 the first foundation was made in Dubuque, Iowa. Our Lady of the Mississippi was followed by Santa Rita Abbey, Sonoita, Arizona in 1972 and Our Lady of the Angels, Crozet, Virginia in 1987. At present there are 48 sisters at Wrentham. They support themselves by making Trappistine Quality Candy and by raising sheep for wool. Mar 10, 2019 | By EDWARD B.
my wife absolutely loved the chocolates.The price was reasonable and I really got a great value. Feb 26, 2019 | By Len S.
Family, friends, and law students said the hearts were the best they ever had. The hearts go beyond candy. Feb 27, 2018 | By Gerald C.
These are delicious dark chocolate hearts. This was part of the gift ...the chocolate was excellent. Mar 20, 2017 | By Tom S.
This is the best dark chocolate I have found. 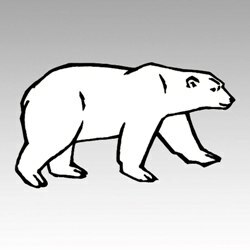 When shipping chocolate in warm weather (April – October) anywhere in the country, we strongly urge adding two polar packs for each box of chocolate. These low-moisture, non-sweating packs keep the product cool during UPS transit times of 1 to 2 days. We cannot guarantee the product without them or during transit times longer than 2 days.